Goodreads Summary: When Travis returns home from a stint in Afghanistan, his parents are splitting up, his brother’s stolen his girlfriend and his car, and he’s haunted by nightmares of his best friend’s death. It’s not until Travis runs into Harper, a girl he’s had a rocky relationship with since middle school, that life actually starts looking up. And as he and Harper see more of each other, he begins to pick his way through the minefield of family problems and post-traumatic stress to the possibility of a life that might resemble normal again. Travis’s dry sense of humor, and incredible sense of honor, make him an irresistible and eminently lovable hero. Some books don't live up to the hype they receive, but Something Like Normal certainly does. I knew that this book would be an emotional read, but I wasn't prepared for just how real the story would become as I read it. Travis has returned home from Afghanistan, but he hasn't completely left the war behind him. As if it wasn't hard enough to readjust to civilian life, he is forced to relive his best friend's death in his dreams. Add to that issues at home, and Travis is really just trying to survive the month that he is on leave. One night when he is out, he runs into Harper, one of the few girls who can't stand him. But war has changed Travis, and soon he and Harper begin seeing more of each other. With her help, he is slowly able to come to terms with what happened in Afghanistan as well as what's happening at home. But will he ever be able to be normal? Some books portray a journey; Something Like Normal, however is like a perfect snapshot. And yet there is so much packed into this snapshot. From beginning to end this book felt incredibly real. There was no powerful, defining moment, no moment that made me fall in love with this book; instead, it was a gradual progression and a slow change for Travis that was wonderful to read. Everything in this book displayed Travis' emotions so well, and I loved reading his point of view. In addition, the nightmares and flashbacks of his that were interwoven were very moving and provided a good look at PTSD. However, Travis wouldn't be the character he is without Harper. Harper is a great, strong female character and one that I enjoyed reading. Her relationship with Travis was refreshing because there was no insta-love but instead a gradual bond that formed between them. I wish that I could say more about this book, but its emotional nature is one that has to be read and experienced firsthand. My only complaint about this book is that it is too short. And yet, perhaps that is also what makes it so moving - that this only captures a brief moment in time and the rest is left to our imagination. 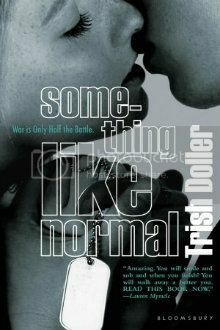 Something Like Normal is a fantastic debut novel from Trish Doller and one that you will not regret reading. I can't wait to see what she writes next! This book is on my "buy" list. I have heard nothing but good things about it. Great review! This book is one of my favorites. :) Definitely, definitely emotional. I'm trying to get my husband to read it - he's a Marine & I think he'd really connect with Travis. I loved the sweet build-up and speed bumps in Travis and Harper's relationship. Can't wait to read this again, and, as you said, anything else Trish Doller writes. Great review! Wow. This looks like a great read. Thanks for the review! You're not the only one who has told me that this book is amazing. I think I need to go get it! Thanks for the review! Thank you for the great review. 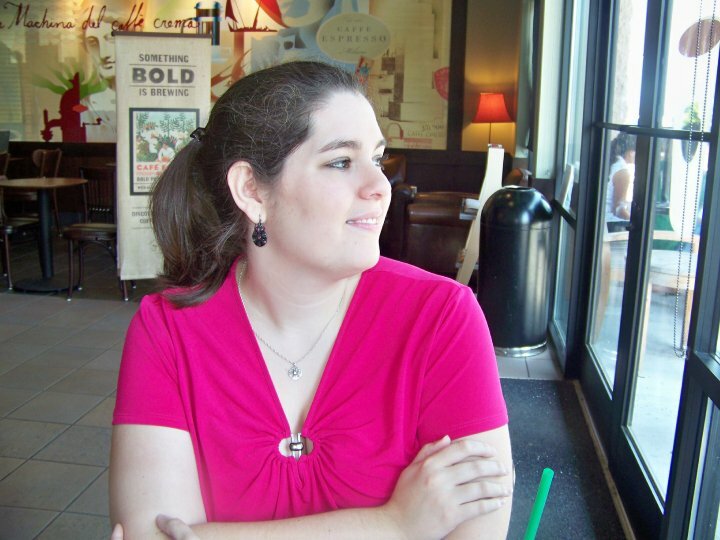 With having family and friends in the military, this story hits home. This book is definitely going on my TBR list. Thank you for the awesome giveaway as well.